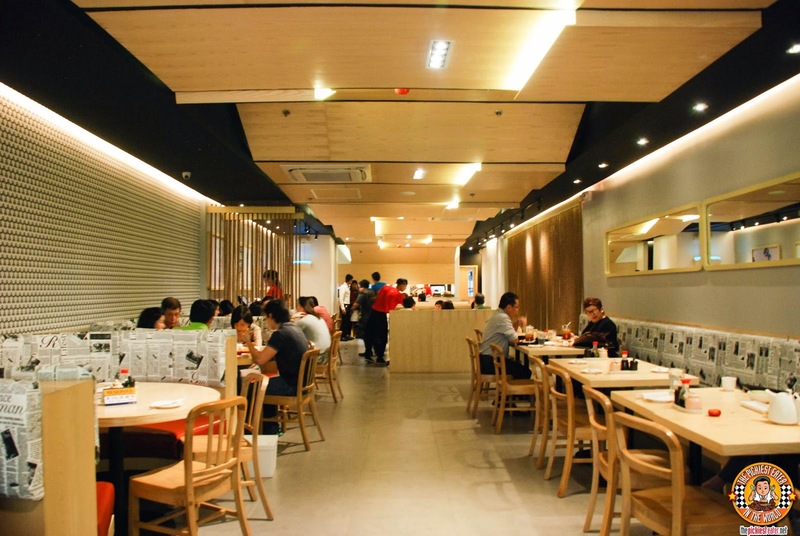 What began as an unassuming Gyoza stand in 1969, has now exploded into a full fledged restaurant chain power, with over 300 branches in Japan, whose reach has spread to six countries in Asia. I love the clean, wooden interiors that imbibe a certain calmness in a zen-like style, while maintaining a current vibe. 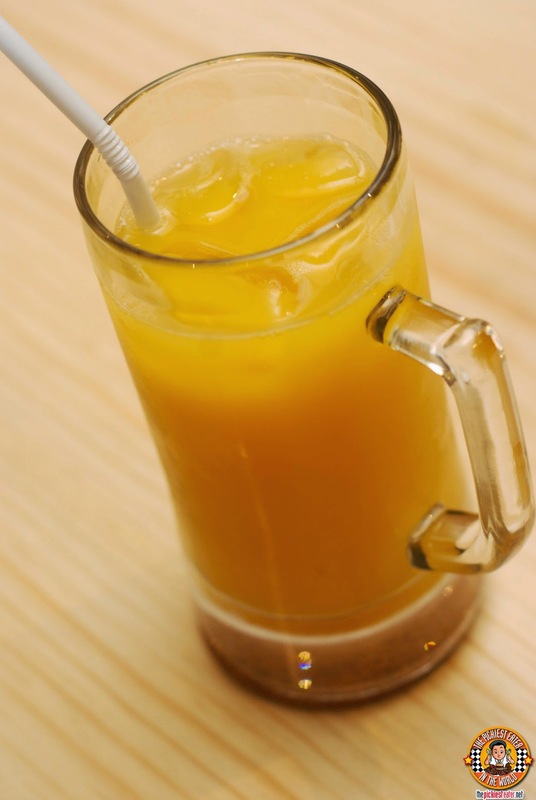 The drink that instantly piqued Rina's interest was the Fresh Mango Yakult (P125). I ended up enjoying it more than she did. I liked the refreshing combination of the mango's sweetness with the delicate flavor of the Yakult. 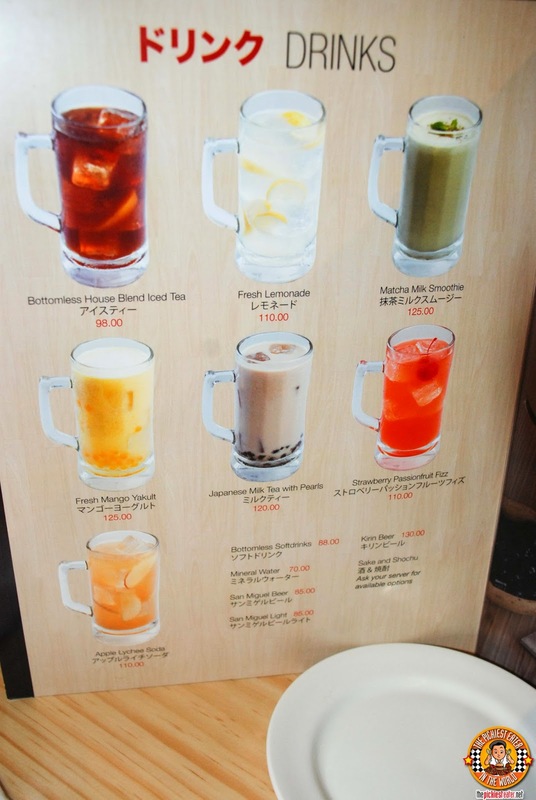 Rina was extremely disappointed that they ran out of the Pearls that the Drink supposedly comes with, although it worked in my favor because I prefer my drinks "Pearl-Less". I may not be a die-hard Japanese food fanatic, but one dish that is a customary staple whenever Rina and I eat at a Japanese restaurant, is Gyoza. 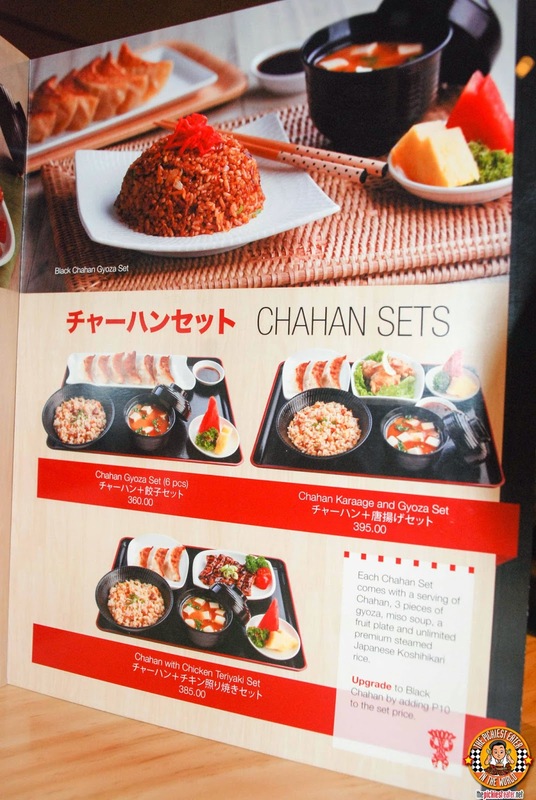 Original (P175 for 6 pcs & P350 for 12 pcs), Cheese (P190 for 6 pcs & P380 for 12 pcs) & Nori (P190 for 6 pcs & P380 for 12 pcs). The Gyoza's were gorgeous The sides were pan fried to a rich brown hue, with the edges of the wrapper lined with a delicious crisp. The Orignal Gyoza was absolutely delicious. It was packed with incedibly juicy, flavorful meat. Rina, though, had her eye on the Cheese Gyoza from the moment she saw it on their menu. She bit in and was not disappointed. The juicy pork filling was mixed in with tiny specs of cheese that melted seamlessly into the meat, giving it a touch of creaminess. 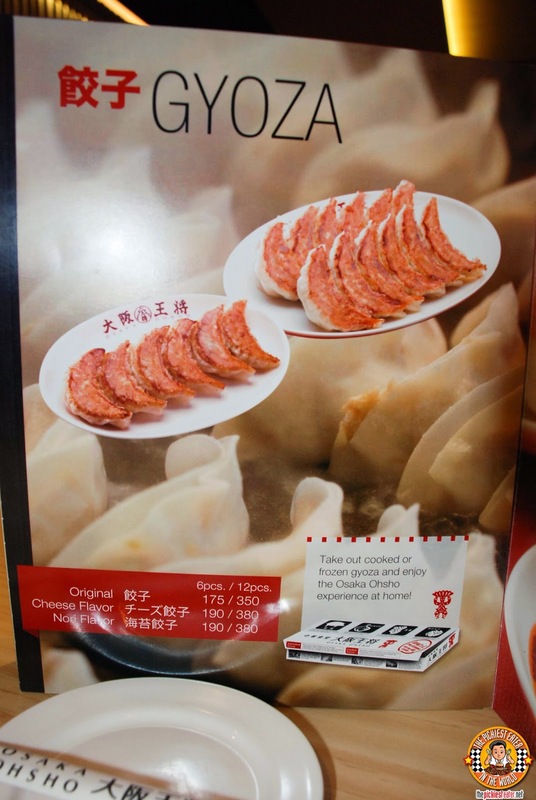 Osaka Ohsho Offers three different sauces to go with its Gyoza :Osaka Ohsho Original Sauce, Miso Sauce, and Chili Oil. You are given all three in your table, and it's up to you which one you want to use, or how you would like to make your own mixture utilizing any of three together. Truthfully, I prefer my Gyoza without any sauce at all.. I'm weird like that I know, but I take comfort in the fact that i'm eating the gyoza in its most pristine form - Ok who am I kidding, I'm a picky eater, that's my excuse. Though their Gyoza is front and center of Osaka Ohsho's claim to fame, it is their Black Vinegar Chicken (P325) that blew me away completely. 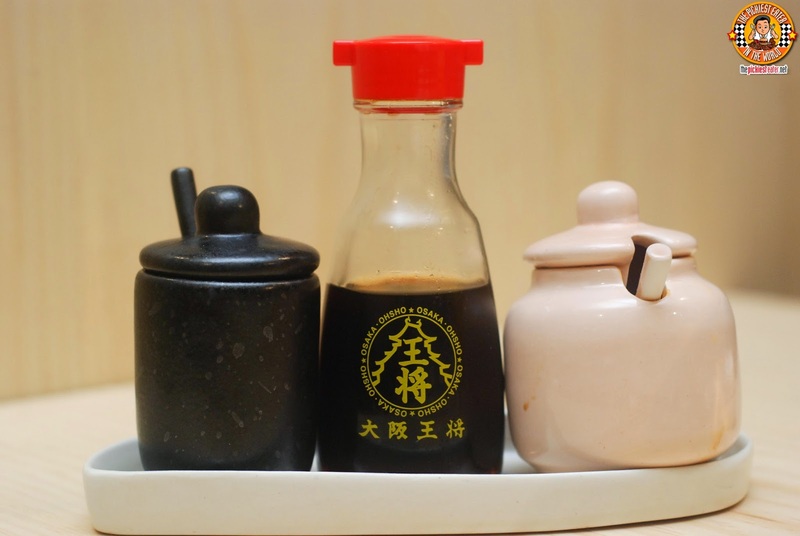 It was delicious cuts of breaded chicken, bathed in a Black Vinegar sauce. The sauce is a wonderful mix of sweet and sour, and incredibly addicting. 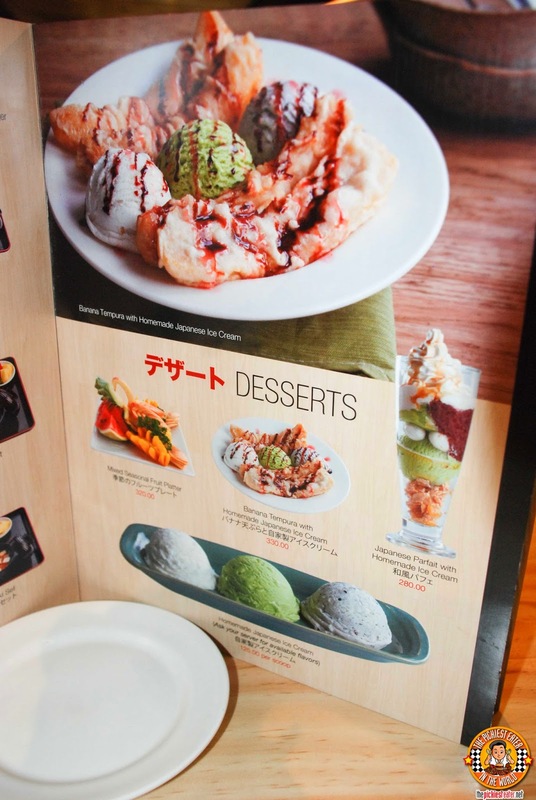 You MUST order this when you go to Osaka Ohsho. You MUST. 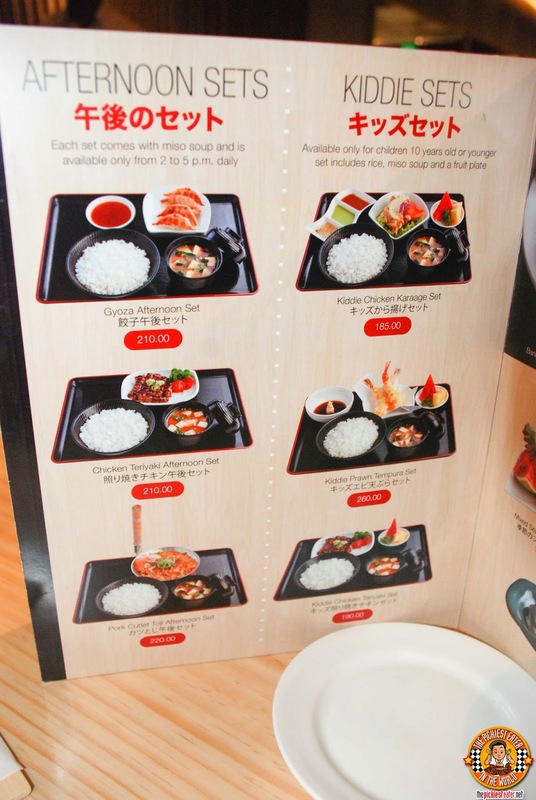 If you're weight conscious and are thinking about skipping rice when dining at Osaka Ohsho, let me stop you right there. Don't even think about it. Osaka Ohsho's rice dishes are pretty amazing. 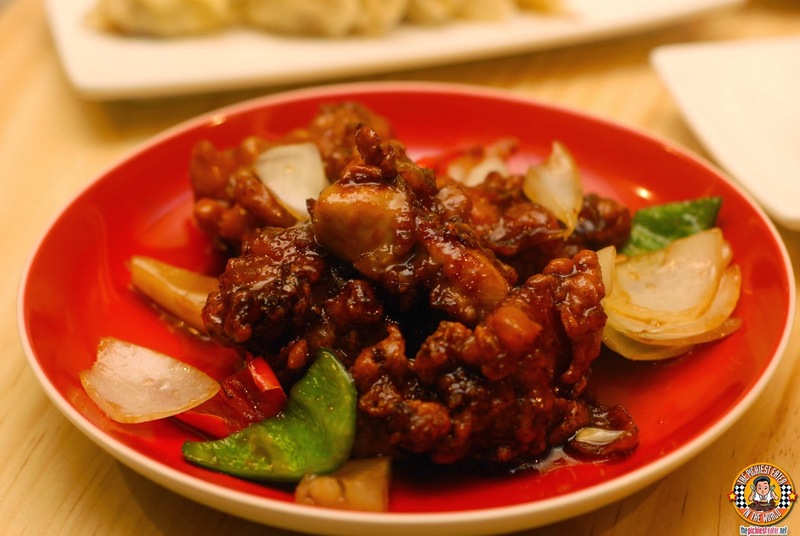 Don't think of it as a companion to your meal, but as an entree in itself. The deliciousness begins with the Koshihikari Rice that Osaka Ohsho takes pride in using for their dishes. Definitely top of the line stuff. 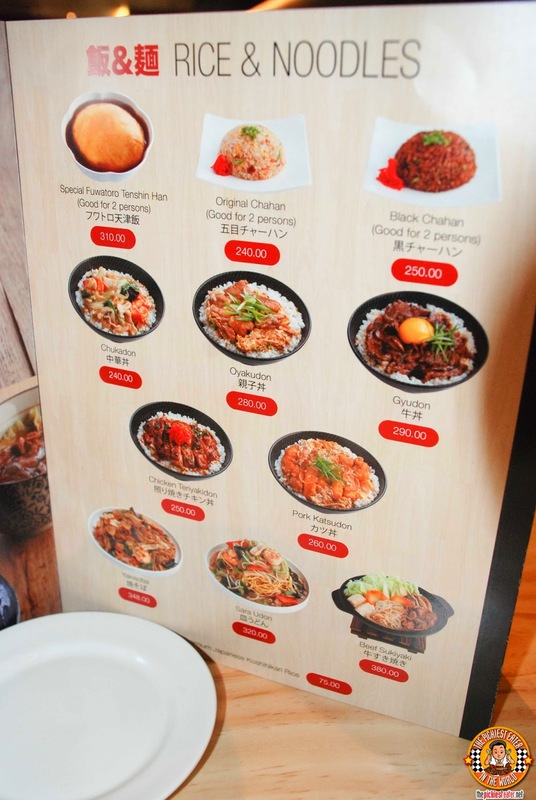 The first rice dish that I've been dying to rave about is the Black Chahan (P250 Good for two, but if you're with me, you're going to need to order your own). 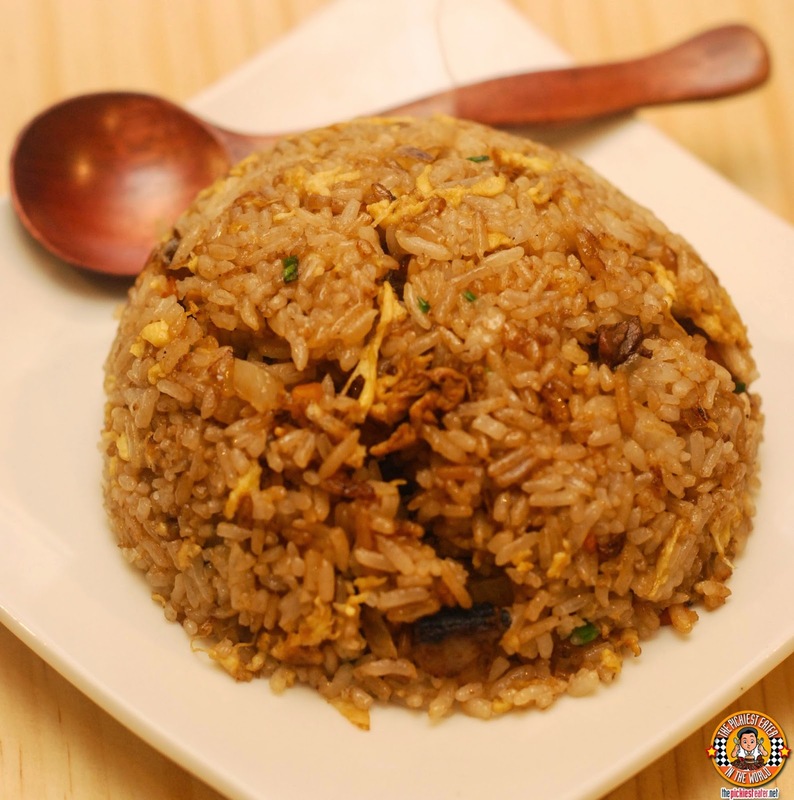 The first dish that you must try is the Black Chahan. I love Chahan in General, but the Black Chahan for me offers a deeper, richer flavor than it's regular counterpart. 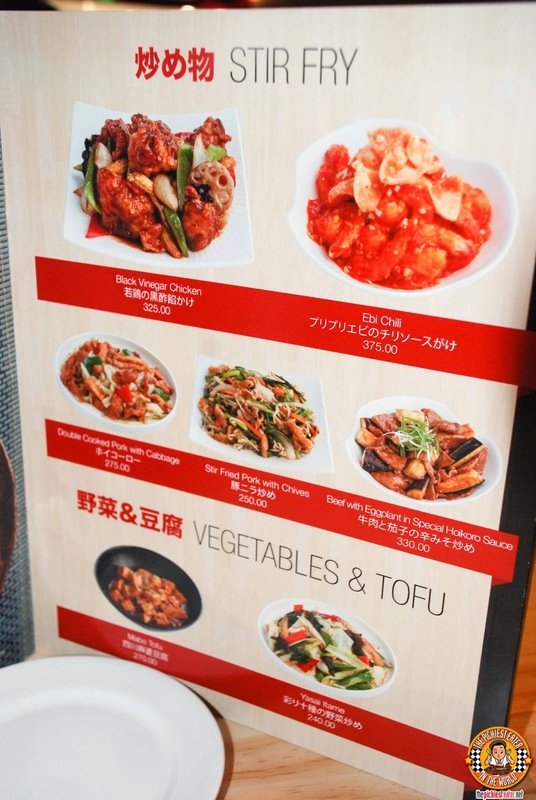 I'll be honest with you, I have no idea why something like "Omu Rice" is included in Japanese restaurant menus. An Omelet topped over rice, and ketchup poured over it is something my yaya has been making for my breakfast since I was a child. Little did she know, what she was making me something that apparently qualifies as "Japanese food". 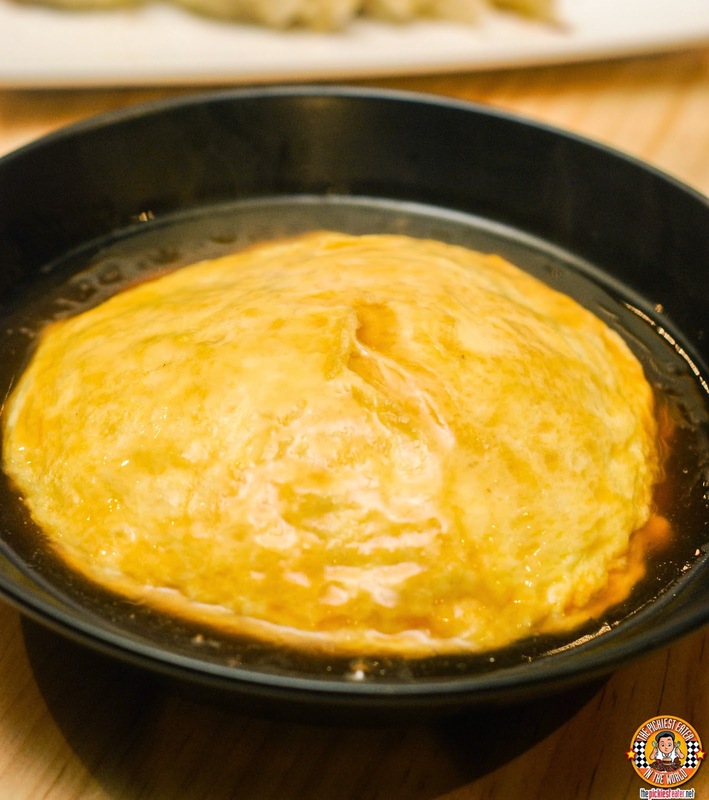 Osaka Ohsho, on the other hand, created a seemingly simple egg and rice meal that is now consider as one of their signature dishes. A dish that this time, I can't question. 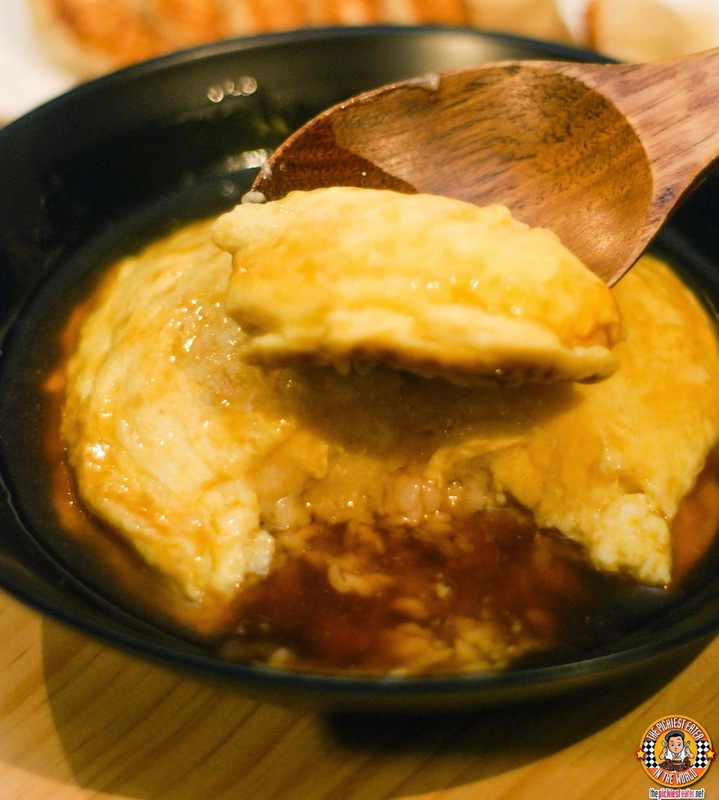 Osaka Ohsho's Special Fuwatoro Tenshin Han (P310) utilizes their sticky, soft, Koshihikari Rice, blanketed by an incredibly fluffy omelet, and drowned in Rich Gravy. The egg was so fluffy, you would think that it came from Chickens grown in the farm of the Almighty himself. The gravy has a mild, savory flavor, that makes it easy to pair with the other dishes. But as good as this was, I can safely say that I preferred the Black Chahan as the companion to my meal. 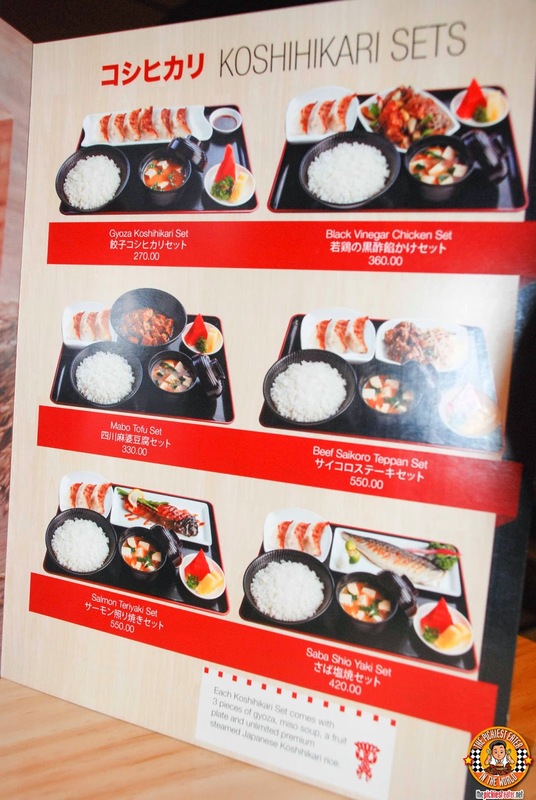 The extensive Menu of of Osaka Ohsho offers many Meal "Sets" that allows you more flexibility to explore the dishes. 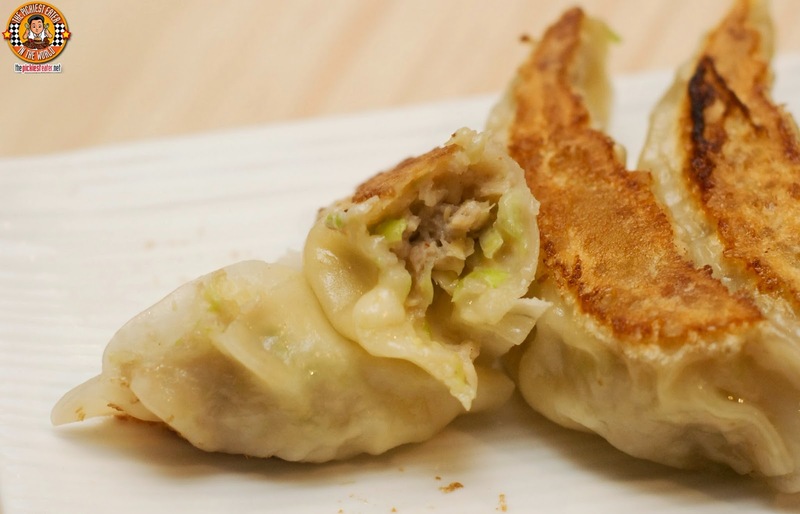 Is this the World's Number one Gyoza? I can't categorically say yes, but I can assure you that it's pretty darn good. 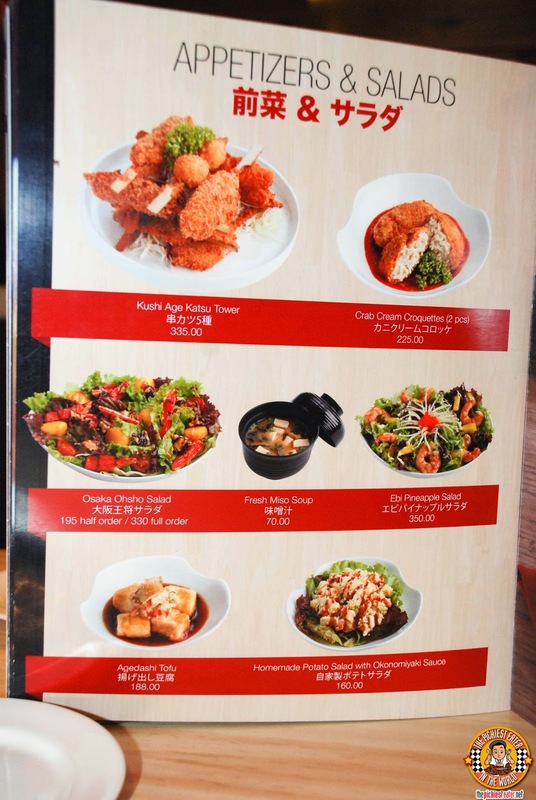 But once again, you MUST order the Black Vinegar Chicken with the Black Chahan. Richie! We are the same! I also don't eat sushi, sashimi and the likes. And that's why I have always been told that I have been missing half of my life. Anyway.... 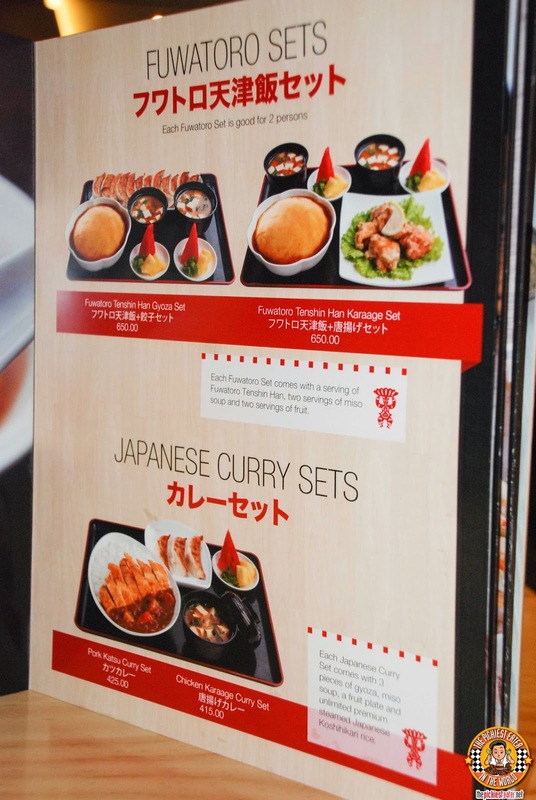 I love Japanese food for its simplicity and yet a punch in flavor! 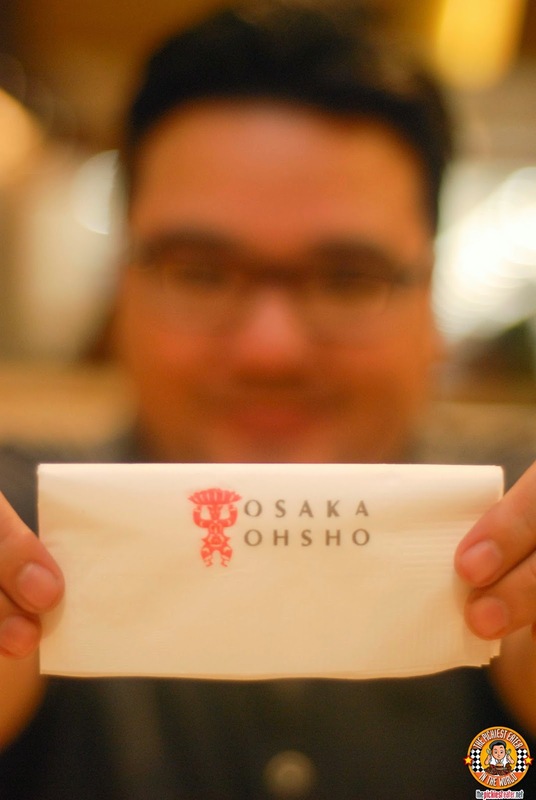 We recently were in Osaka the birth place of Osaka Ohsho and had their gyozas. They're very good actually!! 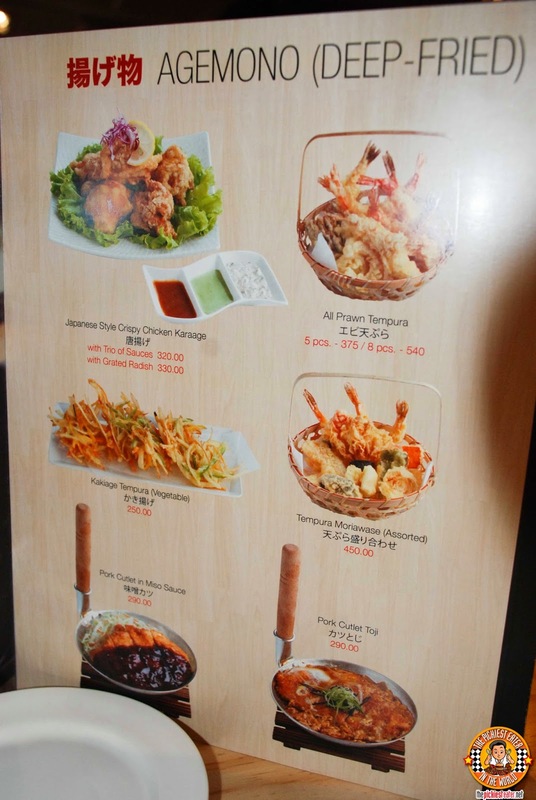 Imagine for 3 adults and 2 kids - we orders - 4 orders of the 6 pieces! The server that took my take away order was shocked and kept on repeating the order! I confirmed - 24 pieces! Hahaha... Plus rice. I will be making a blog post on it too! 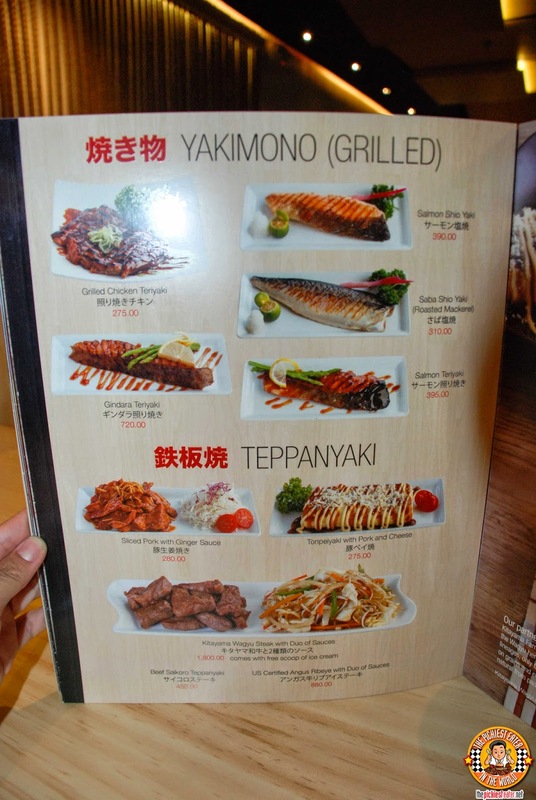 They were actually the only restaurant in the Dotontobori street area that allowed us to order plain rice! Hahaha.. 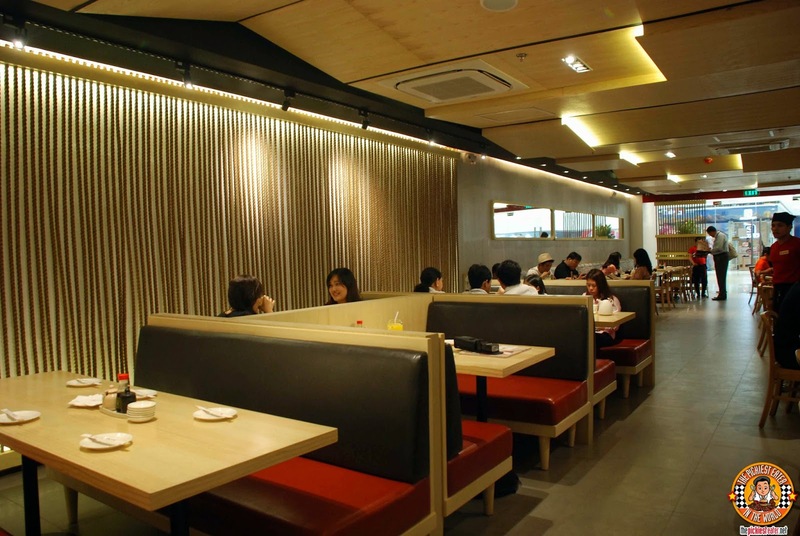 But unlike the interiors in Megamall, the interiors of the Osaka branch is quite simple and down to earth. 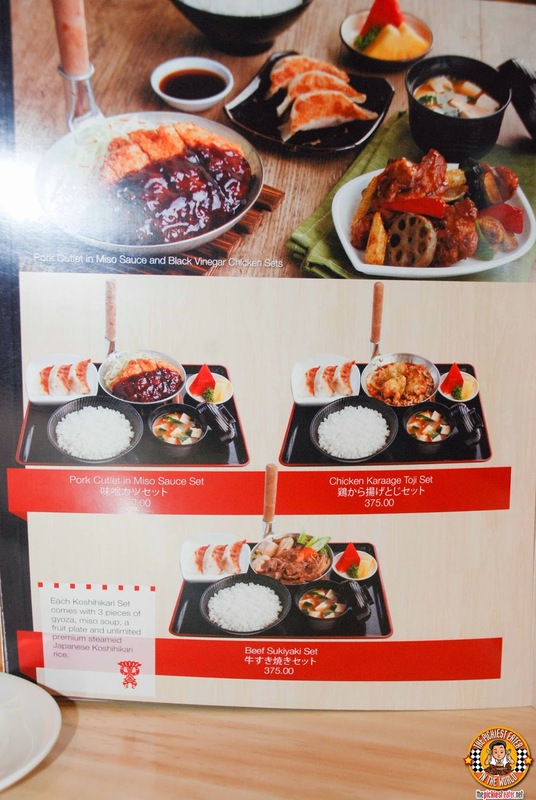 I'm glad that they also offer the same kinds of dishes here!! And the sets look really worth it. Hope to bump into you soon Richie! Regards to Rina and Baby Rain!! Great hearing from you, Didi! Hope to see you too! Please do share your blog post here when you write it! 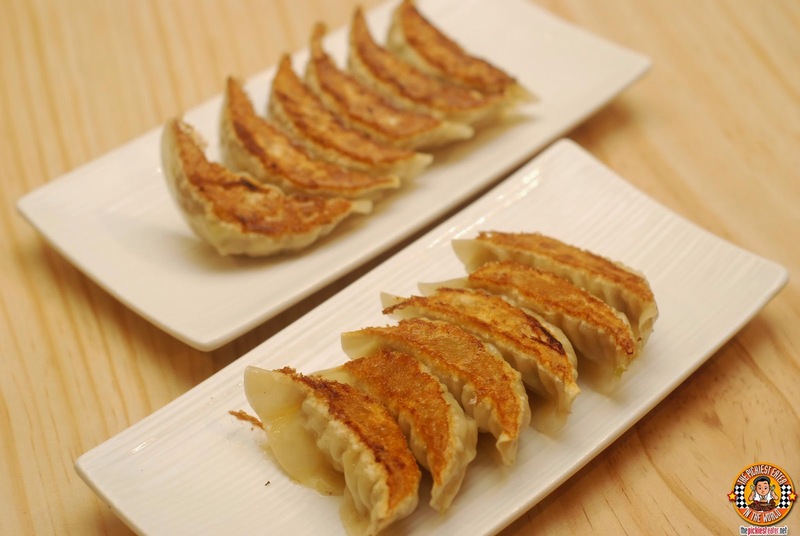 Would love to see your gyoza experience!